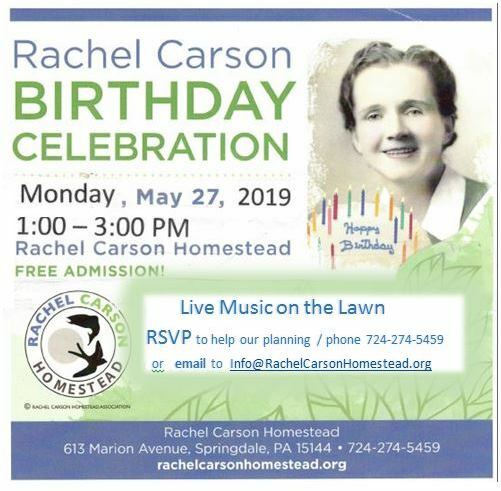 Join us as we celebrate the 112th anniversary of Rachel’s Birthday on Memorial Day, Monday May 27th from 1-3pm with live music, cake, and more! Rain or shine! All welcome! Bring your picnic basket and lawn chair or blanket. We’ll have music, cake, and more. Please email Info@RachelCarsonHomestead.org with the number in your party, provide your email (mobile phone # optional).